Making videos for your marketing is important. But finding graphics to use for those videos can make you go bonkers. That’s why this Vectors Firesale is such a big deal! Look at how easy it is to use these in Easy Sketch Pro, Video Maker FX and Explaindio! How is that for a cool set of characters? Get your hands on this before the sale ends! Only 7 days! 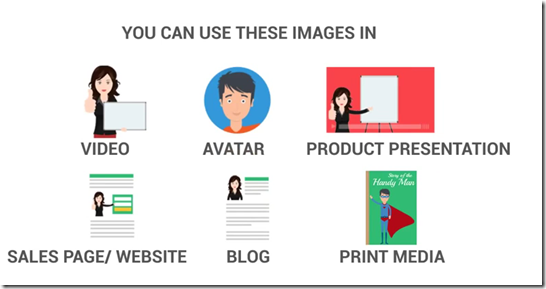 Use these images in videos, as avatars, in presentations, on your blog or website – even in print media like flyers. But you have to hurry because this sale ends in 7 days!